Nobody knows precisely when the first castle was built on this hill overlooking the Semois River. 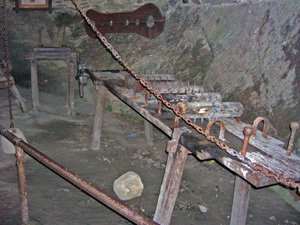 The present fortifications were constructed between 1050 and 1067 by Duke Godfrey III. The Prince-bishops of Liège subsequently owned the castle for 600 years, until it passed the powerful La Tour d'Auvergne - La Marck family in 1678. 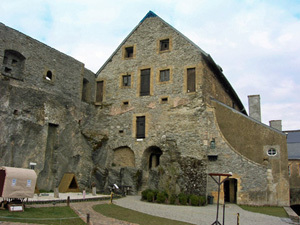 Louis XIV of France took the castle after a 20-day siege, and parts of the fortifications were altered by Louis XIV's famous architect Vauban. The castle is open all year round (adults 4 €, children 2.50 €), although the opening hours change constantly with the seasons. 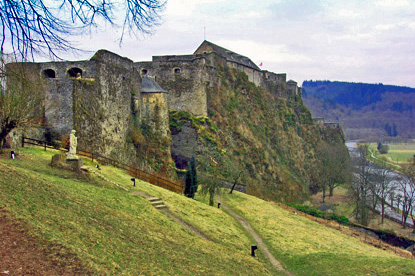 Godfrey V inherited the castle of Bouillon when his cousin, Godfrey IV, died in 1076. He sold his castle to Otbert, prince-bishop of Liege, in 1096 to finance an army of 40,000 Christian knights to free Jerusalem from the infidels. 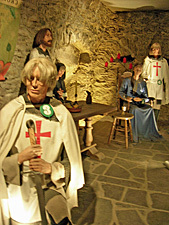 Godfrey's army first passed through Germany, killing thousands of Jews on the way, and finally reached Jerusalem in 1099. The crusaders rampaged through Jerusalem, leaving tens of thousands of Muslims dead. Godfrey refused the title of 'King of Jerusalem', preferring 'protector of the Holy Sepulcher'. He died childless in 1100. By car, take the E411 (Brussels-Namur-Luxembourg) and change for the N89 at exit 25, about halfway between Namur and Luxembourg. 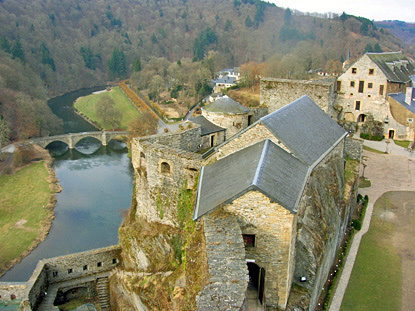 Bouillon sits just at the French border, a few kilometres from the French town of Sedan. Using public transports, the nearest train station is Libramont on the Brussels-Namur-Luxembourg line. From there, take bus No 8 to Bouillon (45min). There are 6 to 8 buses a day.